Below are some of the best VPNs for simultaneous connections, but first let's consider why you might've navigated to this page in the first place. Using a VPN is no different than most online services in that there are limits to how many active connections you can have at the same time. Users often overlook a VPN's simultaneous connection policy due to their focus on security and speed. Nonetheless, the ability to connect multiple devices is highly convenient for users looking to enjoy the full benefits of a VPN. You might, for example, be part of a large household or small business where multiple people and devices need the protection of a VPN. In this case, being able to share a single VPN subscription among several people is highly beneficial and can save you quite a bit of money. Finding a VPN provider's connection policy isn't always easy, with a VPN's terms of service usually hidden away. As a result, I've carefully compiled some the best VPNs for multiple devices. Keep reading to see who made the cut! CyberGhost is our top recommendation if you are looking to connect multiple devices to a VPN. CyberGhost is a Romanian VPN that has a 30-day money-back guarantee available. Our CyberGhost review found them to be a very transparent VPN with a commitment to not keeping any logs or user information. NordVPN has awesome security features such as double encryption, an automatic internet kill switch, and support for Tor over VPN make NordVPN one of the best VPNs out there. Six simultaneous connections allowed on all plans give NordVPN the top spot on this list. NordVPN also has dedicated apps for Windows, Mac, iOS, and Android, and handy tutorials for getting the service set up on lots of other devices and platforms. Give NordVPN a try using the link below – you won’t be disappointed! PrivateVPN is a zero-logs Swedish provider. It features both a firewall-based system kill switch and a per-app kill switch, which pretty neat. Full IPv4 and IPv6 DNS leak protection is also built-in to its client. We have been particularly impressed by PrivateVPN’s high level of customer service, which even features remote installation for technophobes! Up to a generous 6 simultaneous devices are permitted, and port forwarding plus HTTPS and SOCKS5 proxies are a nice bonus. With a 30-day no-quibble money back guarantee, why not give PrivateVPN a try? Additional features: servers in 52 countries, works with US Netflix and iPlayer, kill switch and auto-connect, website available in English, German, Dutch, and Swedish. Although based in the US (so not for the more NSA-phobic out there), this high-profile VPN company has good privacy credentials. It offers five simultaneous connections, keeps no logs (at all), accepts payment in bitcoin, and permits torrenting. IPVanish also throws in a free Smart DNS service for all customers. Much like its Windows client, IPVanish's Mac OS VPN app is a little basic. However, it's easy to use and works well, making it a great VPN for Mac OSX. Additional features include apps for Android and iOS, and servers in 61 countries. PIA is much cheaper than the other VPNs on this list, but its server network is relatively small, with servers located in 25 countries. There are apps for Windows, Android, Mac OS X and iOS. Users can select from OpenVPN, Point-to-Point Tunneling Protocol (PPTP), and Layer 2 Tunneling Protocol (L2TP) VPN protocols. The best of these is OpenVPN. Unfortunately, this is not available in the iOS implementation. You can install the VPN on computers running Ubuntu, and it can also run on routers with DD-WRT, Tomato, and PfSense operating systems. The network has good speeds, which make it a good choice for streaming and downloading. You get an allowance of five simultaneous connections, so the whole family can enjoy a safe connection to the internet. Setting up a router to work with a VPN is the best way to cover all the devices connected to your network. 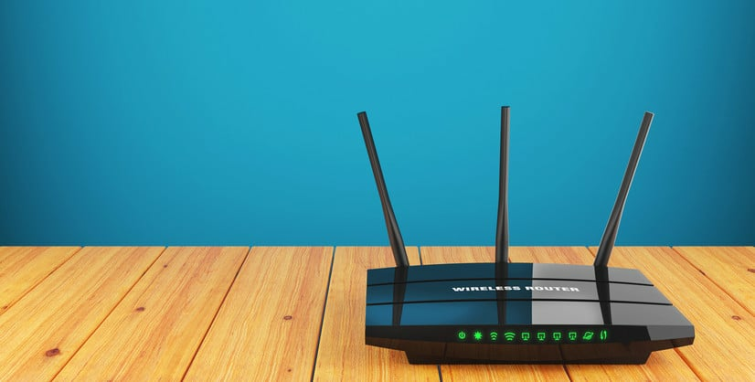 By configuring a router to work with a VPN, you can ensure all the devices connect to the router, creating a secure tunnel between the devices and the internet. To set up a router, you will need to change the connection settings of your router's firmware manually. This process will depend on the router you are using, as well as the VPN service you are setting up. Make sure to check which routers the VPN supports. Alternatively, you can bypass this step completely by purchasing a pre-configured VPN router from FlashRouters , giving your home or office complete VPN coverage. NordVPN, VPNArea, and Buffered all have custom routers available for purchase through FlashRouters. Additionally, you can check out the BestVPN.com Guide to DD-WRT routers, as these routers can be an affordable alternative to purchasing VPN provider-specific hardware. Do you have a small or medium sized business? The growing number of common cyber threats means that protecting crucial business data is more important than it ever has been. Additionally, as telecommuting and remote work continue to increase in popularity, so does the need to properly safeguard valuable company data. Luckily, most VPN providers also realize the importance of protecting your business and offer various business plans. VyprVPN and SaferVPN are the best VPNs if you are looking for a business plan for lots of users. Check out additional VPN recommendations for businesses here.